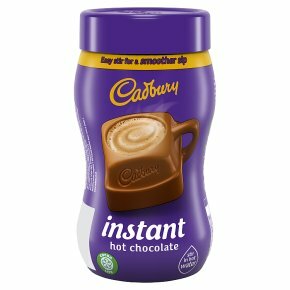 A more convenient version of your favourite Cadbury hot chocolate. Just add water for the smooth, creamy taste of Cadbury hot chocolate. Cadbury Instant Hot Chocolate is Fairtrade certified. Suitable for vegetarians.